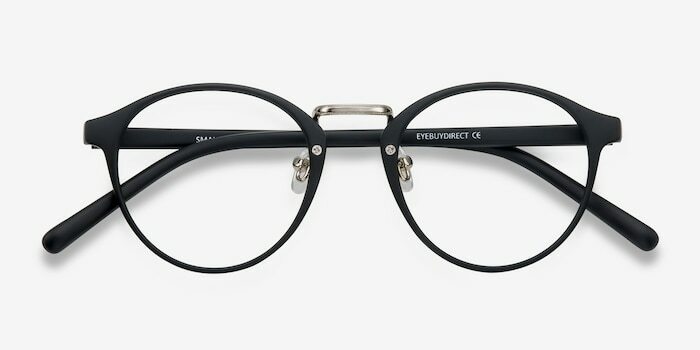 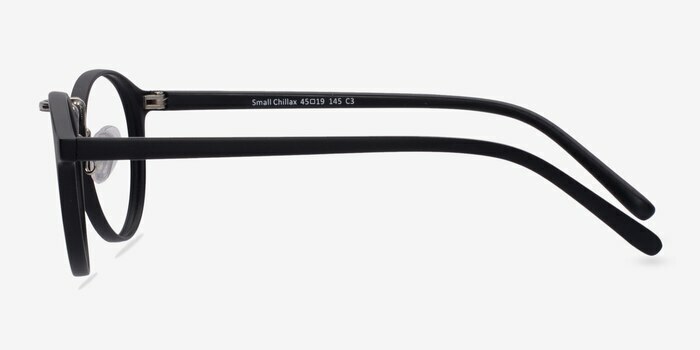 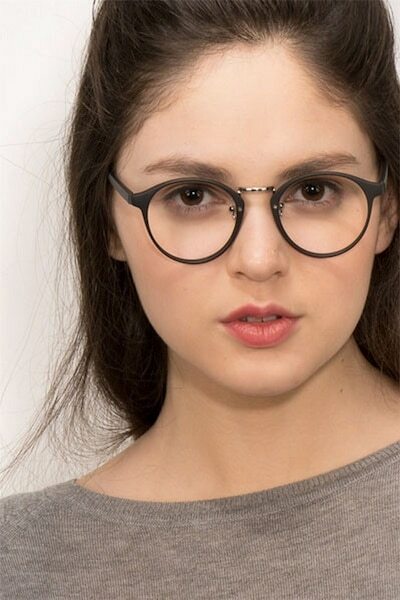 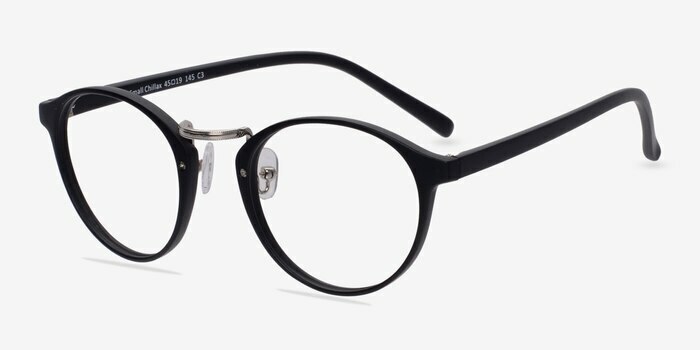 Be perfectly on trend with these matte black and silver eyeglasses. 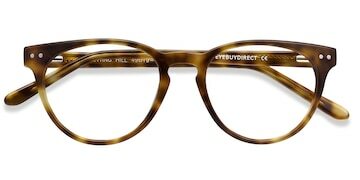 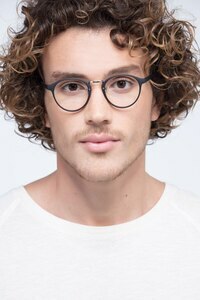 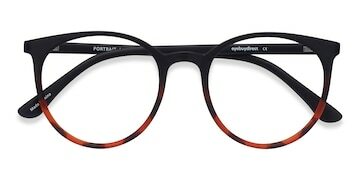 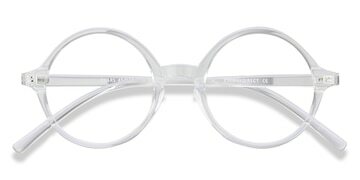 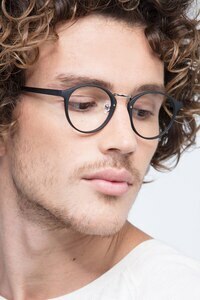 This fashionable frame comes in a matte black acetate finish throughout and encases round shape lenses. 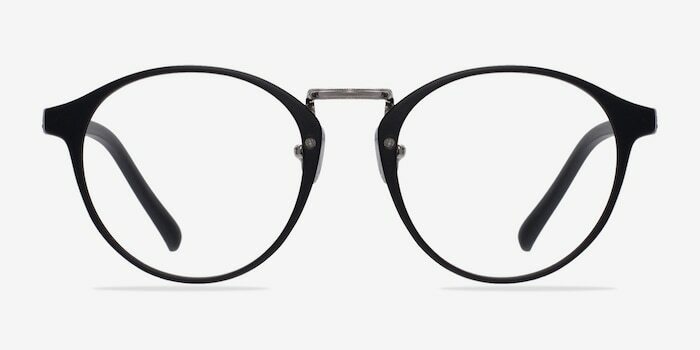 An etched silver metal nose bridge and adjustable nose pads make this hip style perfect for those with smaller faces.